June is always a special month: the sun stays out longer, the temperature gets warmer and Summer is embraced like the old friend you haven’t seen since…well, last summer. Patios open up. Umbrellas provide cool shade and a kitschy garnish to a cocktail. Laughter, BBQs and Drinks all join in on Summer’s welcoming committee. But the moment’s not really complete unless Music makes an appearance. I’ve noticed an increased musical presence in Paris the last month and I suspect Summer is a big part of it. 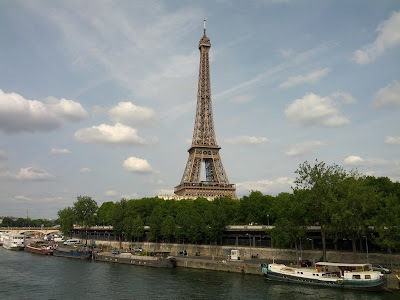 Paris and Summer like to show-off together, especially for the huge numbers of visitors that show up in the city during the warm, vacation months and Music is another big draw. There’s so much going on and I’m excited to share some of my Paris Musique experiences in these early days of Summer. Note - no pun intended...well, maybe a small pun intended - I’m not a musician myself, nor do I have a lot of knowledge of musical arrangements, technique or terminology. I’m purely a fan of that which gives dance its heartbeat, ‘makes the world go round’ and turns an ordinary night into a magical Summer Night. With that mind, I hope you enjoy some of my stories – and videos! - of where I’ve found Music this summer so far in Paris. Ah, the Paris Metro: it’s a loud, stuffy, often crowded, often smelly place where, thankfully, I don’t have to spend too much of my time. But it’s never failed to get me where I need to go. I’m usually within the window of being ‘on time’ and the eccentric passengers make every ride a rich, people-watching experience. There's never really a dull moment. On one trip on Line 6, we were treated to a surprising performance of French Rap, with both a live accordion and a stereo of remixed-bass. It was really fun and much different than the standard ‘Vie en Rose’ on the accordion performance. I gave them a few euros for their show. And another time on Line 1, a small band was playing some really beautiful classical guitar but I had to get off before I could hear the rest of their set. As far as paying goes, if I enjoy a metro or a street performance and I feel safe getting out my wallet in that setting, I’ll give a few euros to the performer. This is my own personal rule and I hope you feel empowered to do whatever makes you feel comfortable in that situation. 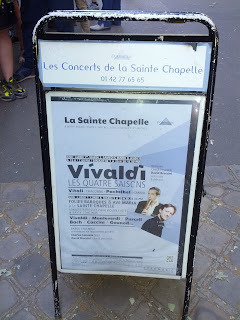 There are so many amazing cathedrals in Paris and many of them host concerts throughout the year. I wanted to go to one at Christmas but it was a busy time and we weren’t able to fit it in. 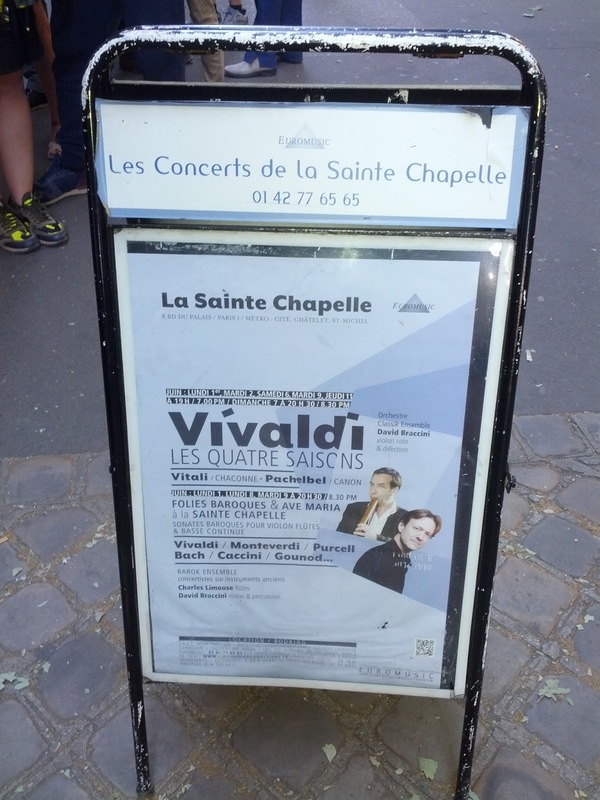 But finally seeing a performance of Pachelbel’s Canon and Vivaldi’s Four Seasons at Saint-Chapelle was completely worth the wait. 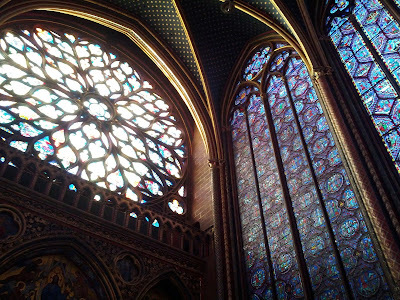 It was a beautiful experience in every sense: the stained glass windows of Saint-Chapelle are absolutely breathtaking and the perfect acoustics of that cathedral made a small ensemble of six musicians (four violinists, a cellist and a pianist) sound like a full orchestra. The sunlight caught the colours of the windows as it slowly set and their light and the soaring music seemed to wrap the intimate space around us. Sometimes, I just shut my eyes and listened to music swirling about. But as much as I loved just listening, it was interesting to see how the music was played - the movements of the bows and the musicians' fingers were so fast and intricate. I also enjoyed watching how the musicians interacted with each other, especially during the flurry of violins in the Winter selection. They were truly and joyfully playing together and spiriting each other onward. I could sense a deep respect for each other and for the music, and a love for performing. Music is experienced through the ears but it's played with the whole body. It was almost like a dance. I get it now when people rave about Saint-Chapelle. It's so beautiful! And it should go without saying, but I’ll say it anyway: during any paid performance in a theatre, silence all technology and only take photos before or after the performance! This is an annual celebration on June 21 – no matter what day of the week – where the French celebrate the Summer Solstice with free concerts and music everywhere. There are organized performances but it’s also completely open to the public and anyone can play music wherever they want (within reason, of course). This lady sang both rock and folk, Pink and Stevie Nicks! We enjoyed the smaller venues set up in the 14th arrondissement; we know that area well since that's where we lived for the first month when we moved here last summer. 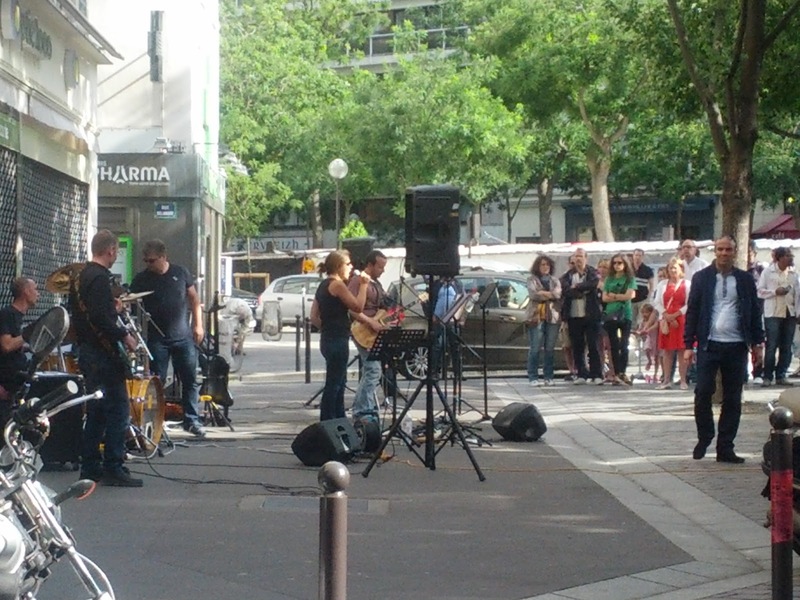 All along Boulevard Montparnasse, there were small performances in restaurants and three larger set-ups near Edgar Quinet Metro station. It was definitely strange to hear Nirvana songs performed with French accents but the bands there were really fun! We were even serenaded by a young man who did an impressive cover of Ed Sheeran’s A Team while we dined on delicious galettes and crepes on Rue Gaite, or as we affectionately call it, Crepe Street. 2-Wear comfortable shoes and sunscreen! 3-It really gets going after 8PM or 20H. 4-It gets busier and more crowded near bigger metro stations – like Republique - later in the evening. If that’s your scene, enjoy! You should also check out this website for more information about what’s happening where. Personally, I enjoyed the smaller venues more but that’s just me. Whether it’s a musical-quicky on the metro, or a full-on classical music concert, Musique is alive and well in Paris in the summer. There seems to be something for everyone and seeing as we’re really only nine days into the official season, it’s only just beginning. So strike up a song, Music.